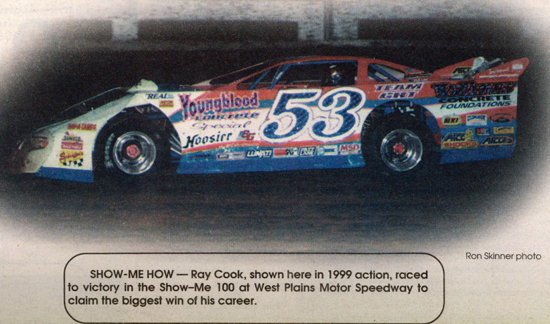 2000 – Ray Cook of Brasstown, N.C., picked up the biggest win of his career, winning the 8th annual Show-Me 100 at West Plains (Mo.) Motor Speedway on May 28. Cook came from the seventh row, taking the lead on the 92nd tour and then won a three-way duel with Terry Phillips of Springfield, Mo., and Davey Johnson of Greensburg, Pa., as the race went the full 100 laps without a caution after being delayed a night due to rain. 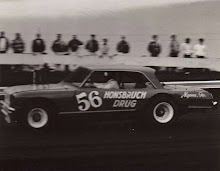 Phillips led the first 57 laps of the event before Johnson took over. Phillips regained the point on lap 72 but Johnson would come right back 11 laps later and take the top spot. Cook would soon join the leaders and going three-wide on lap 85, Phillips was able to regain the point. 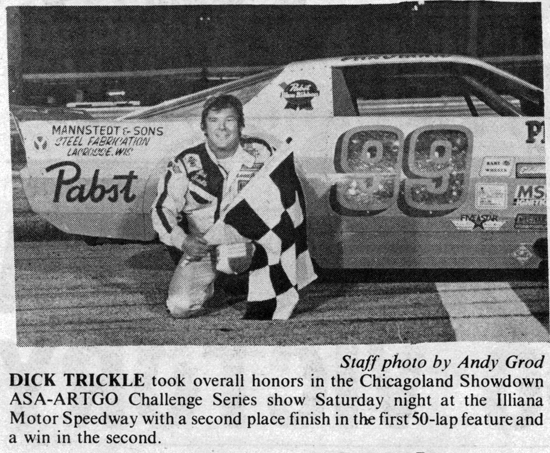 Phillips’ lead would be short-lived, however, as Cook worked past him coming out of turn four on lap 92 and then opened up a 10-car advantage at the checkers. Phillips, Davey Johnson, Wendell Wallace and Scott Bloomquist rounded out the top five. 1990 – Steve Kosiski continued his winning ways by picking up the NASCAR Busch All-Star Tour victory at the Mid-Continent Raceways on Saturday, May 26. 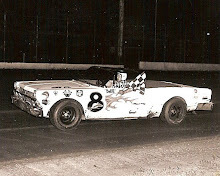 The triumph, Kosiski’s second in two nights, was worth $3,000 and came before a huge crowd on hand for the Busch Tour’s first appearance at the Doniphan, Neb., dirt oval. 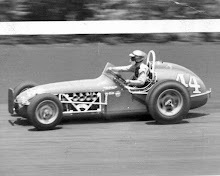 Kosiski waged a strong battle with his brother Joe for much of the 50-lap chase, but finally overtook the defending series’ champion on the 30th circuit. Another Kosiski brother, Ed, joined the family parade by finishing third. Earlier in the evening, Ed scored his first-ever pole award, setting fast time in 20.04 seconds. Steve Fraise of Montrose, Iowa and Gary Webb of Davenport, Iowa, took fourth and fifth respectively. 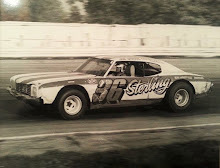 1979 – Curt Hansen of Dike, Iowa, remained one of the hottest late model drivers in Iowa, winning three consecutive features on three consecutive nights. Hansen would start at Hawkeye Downs in Cedar Rapids, Iowa, on Friday, May 25. Escaping a first-lap pileup that took out several top drivers, including Ed Sanger, John Moss, and Rick Wendling, Hansen made his way thru the pack and passed Cedar Rapids’ Mike Frieden with only a few laps remaining to win the 25-lapper. 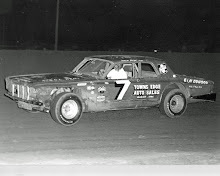 The next night, May 26, at the West Liberty Fairgrounds, Hansen dominated the action, taking the lead away from Johnny Johnson of Morning Sun, Iowa, on lap three and holding it to the checkers. Sunday, May 27th saw Hansen and Ed Sanger stage a classic confrontation at Tunis Speedway in Waterloo, Iowa. 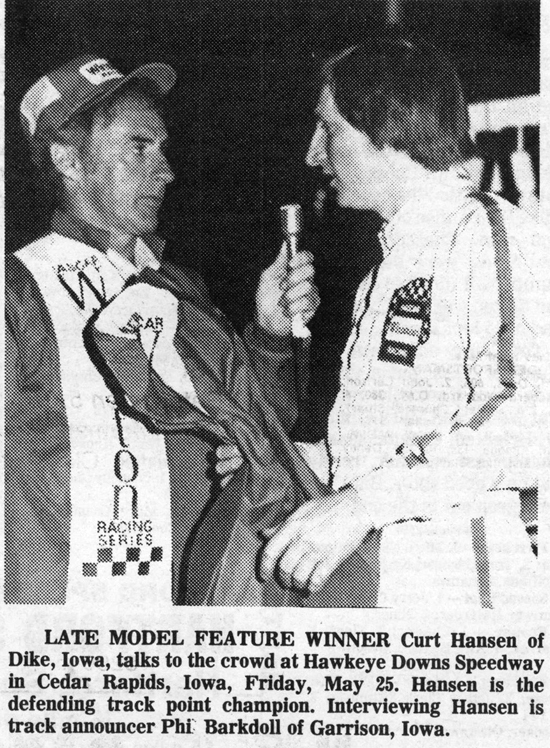 Hansen and Sanger raced nose to tail for 25 laps before Hansen prevailed at the end to take his third victory of the weekend.